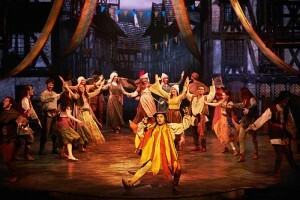 Denmark – Chalking up a new record as Denmark’s most acclaimed musical theatre production, a Danish language version of Disney’s Hunchback of Notre Dame: The Musical was showered with an unprecedented 27 six-star reviews for its sell-out performances in Copenhagen. Produced by the Fredericia Theatre, Klokkeren Notre Dame – the Danish title – has enraptured audiences at the Royal Danish Theatre’s Old Stage with inspired performances, extravagant visuals and enthralling music as reproduced by a Meyer Sound reinforcement system with Leopard line array loudspeakers. 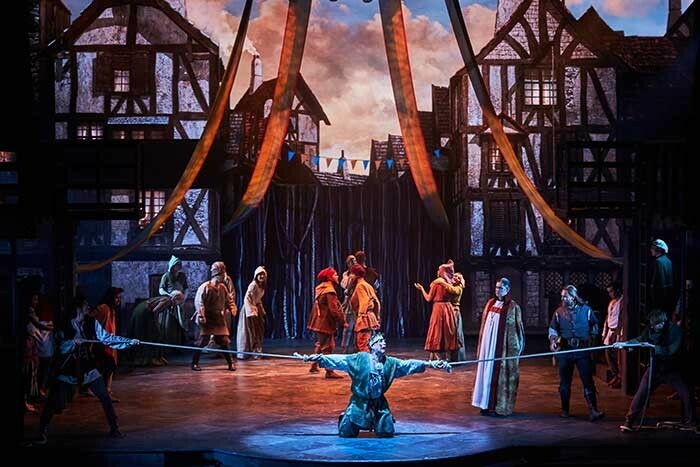 Heading the production’s creative team was Frederica Theatre creative producer Søren Møller, with sound designer Tim Høyer charged with crafting a sonic blend that could carry both the power and the intimate delicacy of the music. Both credit the Leopard system as a critical tool in forging an emotional connection between performers and the audience. Provided by Stouenborg ApS, the reinforcement system for the Old Stage was anchored by the two main arrays of 13 per side Leopard compact line array loudspeakers with deep bass extension from six 900-LFC low frequency control elements flown over the stage and four 1100-LFC elements ground-stacked two per side. 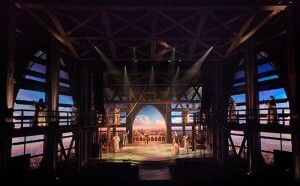 The production audio console, a DiGiCo SD7, accepted 130 channels from the performers’ microphones, the 14 musicians behind the upstage LED screen, and pre-recorded effects. Freelance audio engineer Theis Romme consulted on loudspeaker configuration and also optimised the entire system using Meyer Sound’s SIM3 audio analyser. 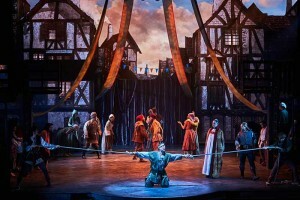 The Copenhagen production followed a prior staging of the same musical at Fredericia Theatre’s own home venue, located in a small city of the same name about 100 miles west of Copenhagen. 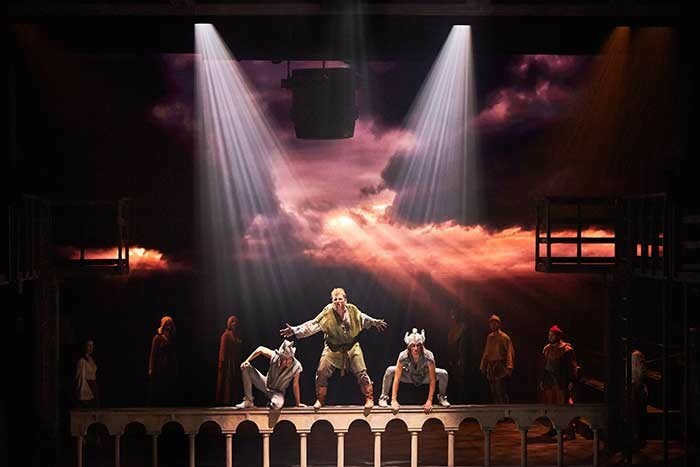 The needs of that original production prompted the theatre to replace its ageing permanent system with a complete new Meyer Sound system, also anchored by Leopard line array loudspeakers scaled to the needs of the smaller venue. 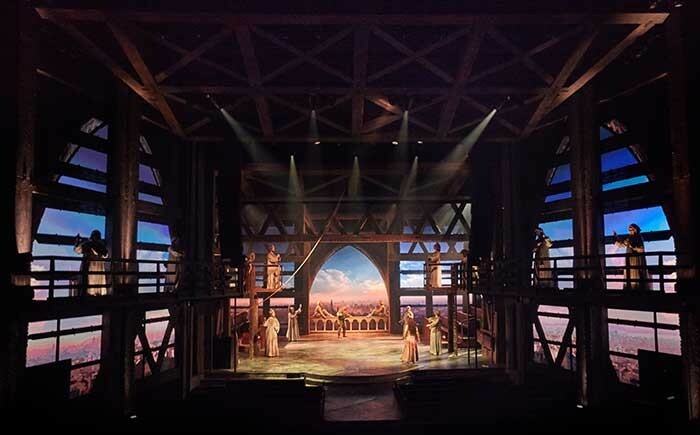 Again supplied by Stouenborg, the system’s main arrays are five per side Leopard, with six 900-LFC elements flown over the stage and one 1100-LFC element per side on the ground. Fill and delay systems comprise two UPQ-1P, three UPM-1XP, eight UPJ-1XP and three UPJunior-XP. Surround loudspeakers are ten each of the HMS-10 and HMS-5 wall-mount models, primarily designed as cinema surrounds but also very effective for theatrical ambient effects in the relatively small and acoustically well-controlled room. These surrounds as well as fills and delays designated “XP” utilise Meyer Sound’s proprietary IntelligentDC technology, with the active loudspeakers coupled to remote DC power supplies to leverage the performance advantages of self-powered systems but with substantially lower installation costs. 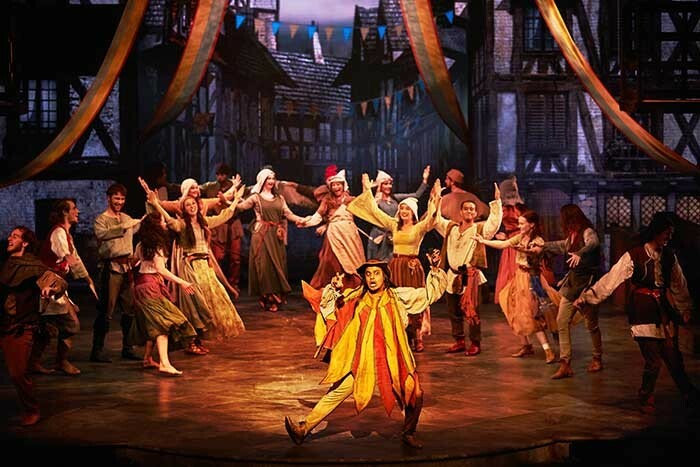 One of the leading regional theatre companies in northern Europe, Fredericia Theatre is a member of the National Alliance for Musical Theatre, the Broadway League and the Musical Theatre Network.